Why’d you create this site? Can I use your content in my novel, site, research, etc? I’ve found an error/have a reference you should add. How do I contact you? What happened to the forum? Will you bring it back? 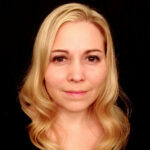 Krista started DeliriumsRealm as an undergraduate at the University of Pennsylvania almost 20 years ago. She holds a BA in Religious Studies and Biological Basis of Behavior (Neuroscience) from UPenn and an MS/MBA in Information Technology Management from Temple University. She also holds certificates in “Information Systems and Technology” (Temple) and “Professional Communications” (UPenn). She is a lifelong learner, having completed 40+ MOOC courses, and is a beta tester for Coursera in her spare time. This site has been an on-again, off-again hobby of hers since the late 1990s. The site grew out of my religious studies research in college and grew from there. Over the years, I’ve experimented with different writing styles, and now am focused on updating the content with more recent information, better bibliographies, and a more “research-oriented” feel. In the early stages of the Internet, people tended not to read academic writing, so I didn’t include proper sourcing and stripped the academic jargon from much of my writings. Now, I’m working on restoring that element… it’s a slow, ongoing process. Delirium was my favorite character in Neil Gaiman’s excellent Sandman graphic novel series. Much of what I was researching seemed like it would fall under Delirium’s realm – the chaos and power struggles and mass hysteria. 1. Philosophy of religion – Definitions for how people have explained the being/principle called “God” throughout history and arguments for whether God exists. This is critical for understanding how different cultures describe and deal with “evil.” I only be deal with this generally as a starting point to describe evil – ie is evil the absence of good? 2. The problem of evil – The philosophical concept that philosophers and theologians have asked since virtually the beginning of time which asks – if there is a God, how can He/She/It allow evil to occur in the world? What is evil and how can we define it? 3. Personifications of evil – This gets into the descriptions of various demons on my website and will explain how concepts/perceptions of evil evolved over time. Eventually, it will also include historical descriptions of hell and damnation – including Dante’s Inferno and Milton’s Paradise Lost. 4. The end times and apocalypticism – Finally, the ultimate battle between good/God and evil/Satan. I tend to stick mainly to Christian perspectives, though I will throw in references to other dualistic traditions when applicable. Certainly. This work is licensed under a Creative Commons License. Most of the artwork used is within the public domain. Deliriumsrealm.com is a hobby site that has grown more popular than I imagined it would when I started it in the late 90s. I previously ran advertising on the site through Google Adsense but have recently decided to stop for two reasons: (1) I hate ads and (2) the ads that ran seemed irrelevant to my content. Now I plan to focus on creating courses – so please sign up! Sign up for one of my courses. Make your purchases through my Amazon.com links. I’ve found an error or have a reference you should add. How do I contact you? When the site initially began, we had a pretty active forum. Then, bots and spam wrecked it. Now, I’m offering forum access through my online courses only, so only those who pay a nominal fee (and therefore must sign up as real people) can participate.